As a way of expressing our thanks to loyal customers who entrust us with their complete home comfort care, we reward your loyalty by giving you significant discounts towards future purchases. Every year that you remain as a Columbus Energies customer on automatic delivery we will give you $50 Loyalty credits! 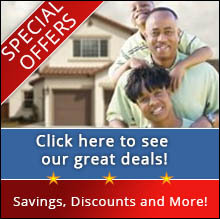 The $50 Loyalty credits are good for any heating or cooling upgrades and service plan upgrades. These rewards can really add up when you consider that new comfort equipment can save you up to 30% in energy costs. As in any business, word of mouth is often your best form of advertising. 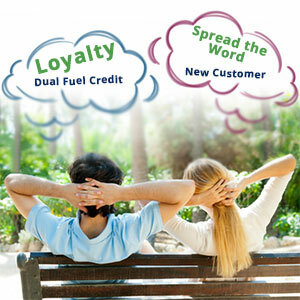 At Columbus Energies, we reward your loyal support with our Customer Referral Program. If you have had a positive experience here at Columbus, tell a friend, family member or neighbor. If they sign up as a new customer, you receive a $50 credit, as does the new customer. *Certain conditions apply. When you get your heating oil and propane from Columbus, you qualify for the Dual Fuel Discounts. The dual fuel discounts operates similarly to what many of us have experienced with our insurance company – when we bundle our auto and home owners insurance with the same insurance agent we get a lower price. We routinely have special offers geared specifically for our new customers, if you are considering coming on board as a Columbus Energies customer make sure you call us to see which Special Offers are available at that time.